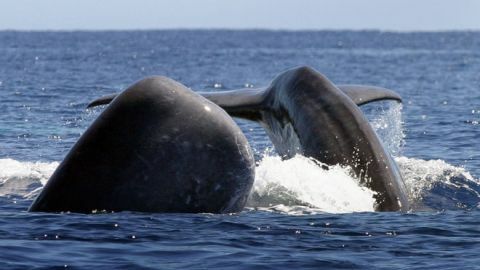 The whale watching is a practiced activity in the archipelago, however, is an activity promoted by tour operators who respect animal life, always requiring their assistance during the search whales and dolphins, a vast ocean that it becomes a scenario of magical encounters between marine and humans. 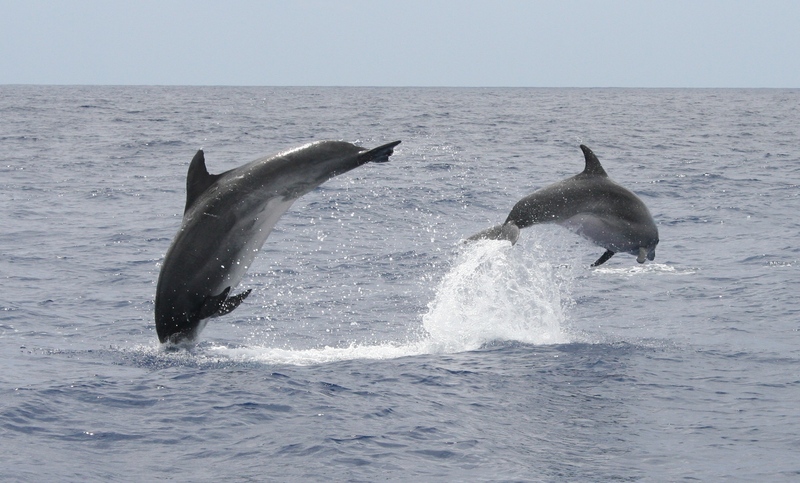 This observation can be made all year round, thanks to the large number of species that resides in these waters, including communities of common dolphins and bottlenose dolphins, not forgetting the migratory species that pass through the Azores, such as whales. At the end of winter, the blue whale is often spotted and summer are more spotted spotted dolphins, sperm whales, sei whales and beard. On this island are several specialized operators in whale watching, specifically in Ponta Delgada and Vila Franca do Campo, to ensure that activities during the year. These have medium-sized vessels, for groups up to 80 people, with excellent conditions, convenience and security for this activity to be successful. The channel between the islands of Sao Miguel and Santa Maria, the sighting of blue whales during the late winter months is common, spring starts. On this island, both in Angra do Heroismo or Praia da Vitória, there is a great offer for whale watching, especially in tourist units that offer programs that combine accommodation and sea activities such as whale watching. Between this island and São Jorge, the majestic blue whales are avistas during their migration. An island in the whaling tradition is well-established, having been the last place to leave “whaling”. A activities reconverted for whale watching, with operators in Madalena, in Lajes and Santo Amaro. This attachment picoense the traditions of whaling, is explained in several museums and ethnographic centers, including the Whaling Museum, and the Arts Centre and Marine Sciences – SIBIL in Lajes, and the Museum of Whaling Industry in Santo Amaro. 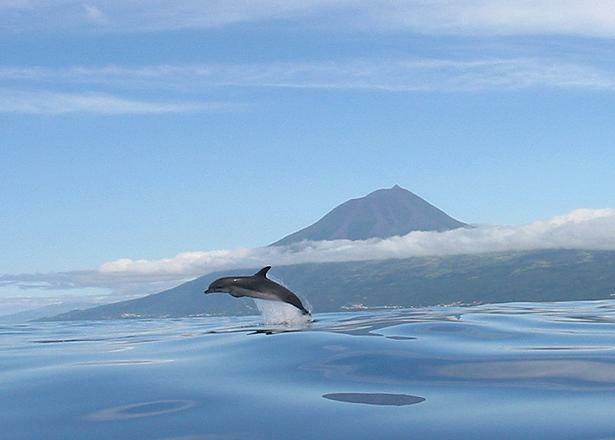 Faial, Pico and São Jorge form the Triangle, a place that assist the most hard-fought race whalers, and the Horta, on Faial, one of the main centers of observation and the Azores Cetacean study. Present in this city, are many whale watching operators with technical guides and scientists linked to the University of the Azores, an institution that has a major center for studies and research in the areas of Oceanography, Marine Biology and Fisheries, leading other international universities , programs of study populations, migration and routes of these marine animals.